Loveworks Child Care Centers are a work of love. We provide a safe, nurturing, and creative environment where children thrive as they grow socially, physically, emotionally and academically. We believe that spending time in nature during play time and outdoor learning time helps develop physical skills and life skills, and fosters interconnectedness with the Earth and all living things. We believe that mindfulness, manners, kindness, and respect are essential in our community and help create a positive environment for learning and growing. We believe that encouraging a growth mindset helps children to develop grit, motivation, and a love of learning. We believe that children thrive when they feel loved and supported in their growth with kind, consistent boundaries. We believe that children are innately curious, and we strive to nurture their curiosity and natural love of learning by providing a developmentally appropriate learning curriculum. 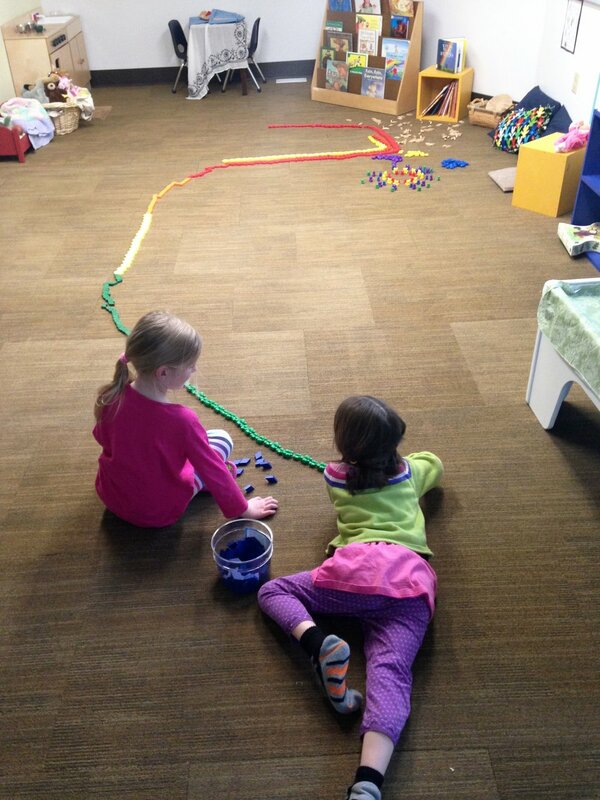 Loveworks provides a warm and enriching environment for childhood play and learning. We see children as skilled and wise beings who want to discover, learn, develop and express their special wisdom. Our work is in helping children to experience life by nurturing their natural curiosity, creative energy and compassionate nature. We strive to help children gain confidence in their social interactions, intellectual discoveries, emotional well-­being and physical and life skills development. Assist children to recognize their personal giftedness and create a sense of self worth. Create a sense of interconnectedness with all living beings and an emphasis on learning to live in harmony with the Earth and our world community. Maintain a compassionate approach with children, teachers, parents and all members of the child care center community. Teach and model the development of strong character, morals and values though monthly character development themes. Provide a foundation for children to develop skills in all academic areas through monthly learning themes, including reading, writing, mathematics, science, social studies and the arts. Hire capable, experienced, certified teachers with degrees in Elementary or Early Education. Understand and value differentiated instruction which allows us to meet the particular needs of each child and his or her unique style of learning. Maintain small classes that are intimate in their daily rhythm. Offer individual, whole group, and cooperative opportunities for learning. Provide an inspiring program to integrate art, drama, music, dance and physical arts. Commit to ethnic, racial, socioeconomic and spiritual diversity. Provide high quality materials and tools to enable all aspects of child development. Model excitement for learning and spark each child's interest in learning. Help each child to be successful in all aspects of their development and growth.